The Horror Movie BBQ: 5 MORE VHS TO CELEBRATE VCR DAY! Happy National VCR DAY! A day to celebrate that is every analog. I mean, sure, YouTube and WWE Network are good options for watching these too, but I want some over the top, nonsensical trailers before and some of that lovely VCR noise while I slowly pass out. You know the noise. It's like a beautiful white noise machine. It's relaxing. Don't look at me like I'm crazy. So, I've got my comfy bed, my Gizmo head pillow, my feet up, a big glass of water, a bowl of Market Pantry Cheese Squares. I'm comfy. What's the first tape I play? 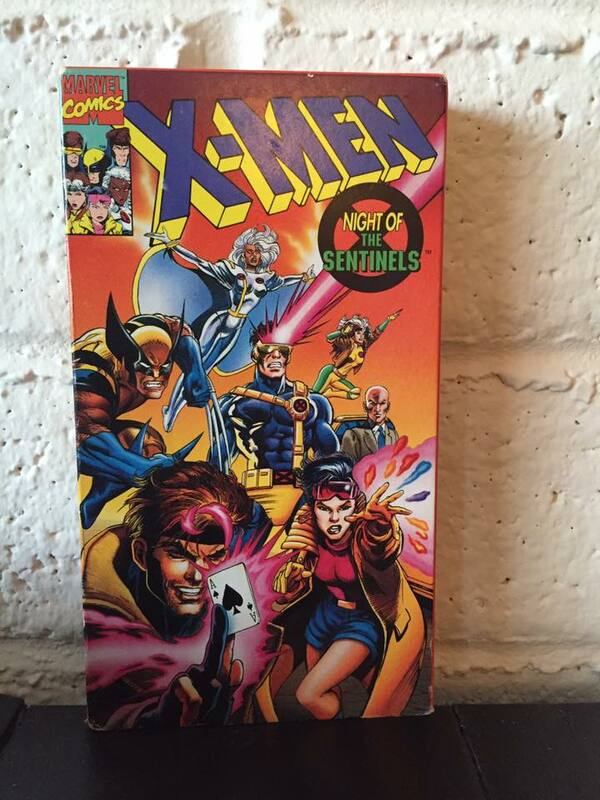 X-Men series debuted in 1992 and took over every young boys lives immediately. I read X-Men comics before so I was already familiar with these characters. Also, I had been a fan of the Pryde of the X-Men short as well, which happens to be my all time favorite animated X-Men adaption ever by the way, so this was an easy sell for me. Fox had so much faith in this that they actually premiered it in primetime. Which at that time, was a HUGE vote of confidence. It didn't take long for X-Men to catch on become a must see Saturday Morning show. Kids and adults, everywhere were glued and this became Marvel's flagship team. I know it's hard to imagine anyone but Avengers being the representatives for Marvel, but in the early 90s, X-Men were. You couldn't go anywhere without seeing X-Men shirts, hats, toys, puzzles, games, my gosh, everything under the sun. Even Pizza Hut offered X-Men promotions a year or so later including comics, pizza boxes and two VHS tapes featuring the first two episodes and a "creator discussion" featuring Stan Lee, and the, at the time, X-Men creative time. It also including a trading card and a mini comic. These tapes are pretty easy to come by, so if you wanna see Stan joke around and talk shop with his buddies, pick those up. This tape however, contains the first two X-Men episodes, which if you've never seen, are quite fantastic. The story tells about the teenage mutant known as Jubilee, who has alienated her family due to her uncontrollable powers, joins the X-Men and come to terms with her powers as the other X-Men try to deal with each other. The animation and voice acting are fantastic. It's still talked about to this day as a lot of fan's go to when it comes to X-Men. Hoooooooooly crap. Hammerhead Jones. Ok, first off, that's obviously not my VHS or even my scan. I found it linked to a torrent site via Google. But there's a very logical reason. That reason? Well, this movie was never even released in America despite being filmed in America. Confused? Well, apparently because through some weird loophole, when selling the rights to distribution, the producers only signed off on overseas. Hence why a lot of NTSC copies won't be popping up at your local thrift store anytime soon. Which is shame, because this movie is a real hoot. Second, I'm kinda cheating because I own a DVD-R copy. But, it's my blog. I can bend the rules. Imagine a generic pro wrestling movie that was produced well under the budget it was given. Furthermore, it also appears only to be filmed in a dingy basement or warehouse outside of Tampa. 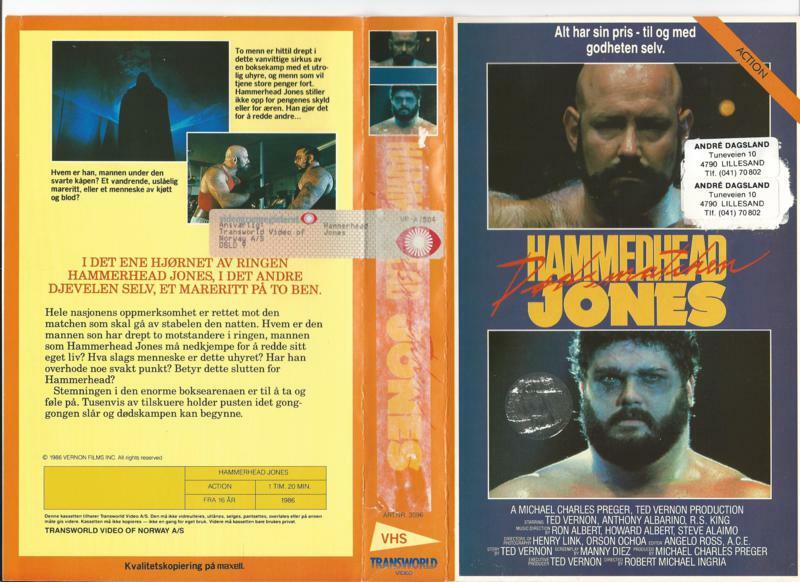 Ted Vernon plays local wrestling hero, Hammerhead Jones, who not only is a big and bad pro wrestler, but a hero to plenty of kids in the area. He's a good guy who in no way shape or form willing to sell out for the allmighty dollar, despite multiple parties willing to pay up. So. Um. That's essentially the story. The only other thing to note is an appearance by Fred "Typhoon" Ottman. Sadly, he did not fall out of the ring like he did as the Shockmaster. This is a real fun movie that predates No Holds Barred, and even shares a similar plot. 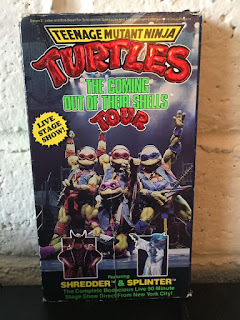 Chances are, if you're reading this blog, you're a TMNT fan. It's hard to meet anyone these days who's not a fan. What's not to love? 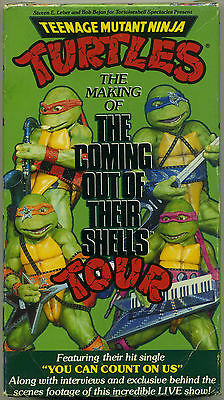 A bunch of goofy reptiles eating pizza and beating up ninjas. Come on. It's perfect for all ages! 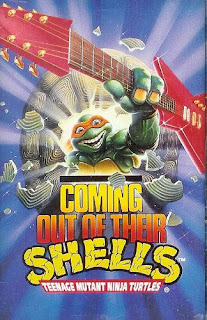 In 1990, Turtle Fever hit a fever pitch. The first live action movie was released, toys were still hot, the cartoon was in constant rotation, you couldn't go anywhere without seeing the heroes in green. So what's the next logical step? Put out an album through Pizza Hut. A pretty cheesy album. But at age 7, you couldn't convince me that it wasn't the coolest album in the world. My New Kids on The Block and Hammer albums took second place to this many times. My poor mother suffered on road trips if I ever sat up front because I downright took over the radio and insisted on playing it. I'm a terrible son. I know. I'm sorry, mom. Next step? 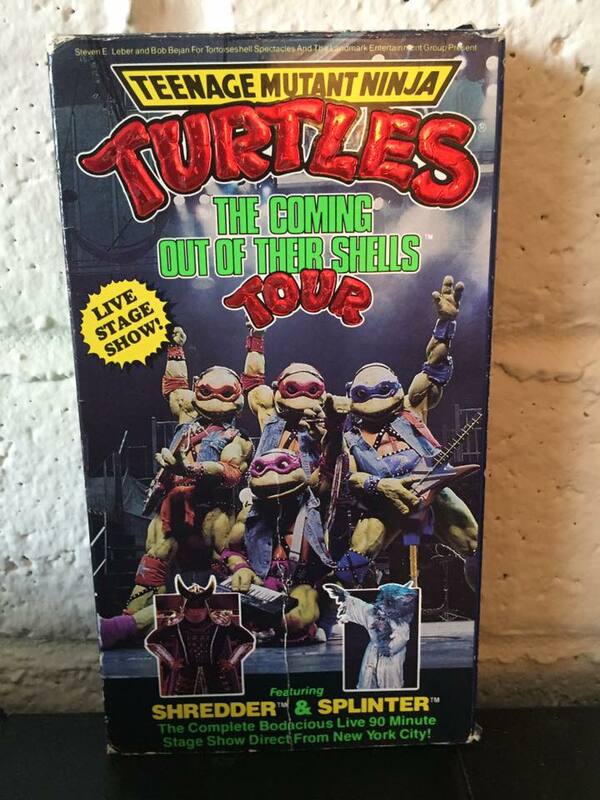 Send those Turtles to Radio City Music Hall. Duh. A huge rock show featuring the Turtles trying to save April from the clutches of the human can opener, Shredder. But how do they come up with strategies? Duh. Singing. Or rapping. Or...well...26 years later and I still don't know what's going on. But it's pretty wild. I am super envious of anyone who got to see this live because this had to be a real awesome show to see in person. Bonus: While this is an awesome tape, there was also a "making of" tape, which was a phony documentary following the Turtles as they prep for the nerve-wracking performance in NYC. I had that tape as well and it was pretty wildly stupid. Still, it's a good way of getting warmed up for the big show. Much like our lip syncing heroes in this documentary. I highly suggest owning and watching both. 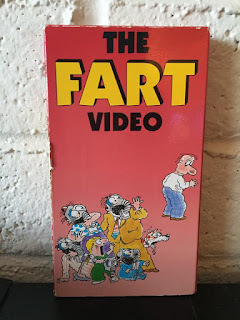 Really, this is nothing more than 10 minutes of very short animated clips of people farting at parties or in the woods. And it's amazing. The animation is crude and it probably should've been played on Liquid Televsion. I'm surprised I had never heard of it. And now I have. Life will never be the same again. Ok. This movie. Wow. Everything about this movie reeks mid 80's to the point that it even offends me. Well, offend isn't a phrase I'd use. "Pleases me in ways that only episodes of Growing Pains and Mama's Family" would be the right phrase. 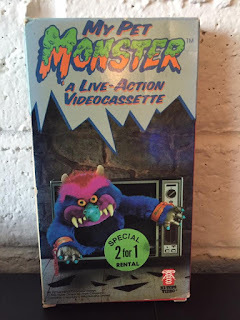 This movie is something that is cherished by any and all My Pet Monster fans and while I never owned a MPM itself, I admired it with love from afar. I always wanted one, but knowing my mother, it was probably gonna scare me. Oh well. This tape is also something I never saw until...well...last year. So, I never get sick, but the one time I get the flu, I'm out like a light and refuse to leave my bed. So, while laid up, consuming only soup and Gatorade, I decide to finally check this gem out on YouTube. Well, I'm glad I did because alongside other than revisiting the entire Masters of the Universe 2002 series, this got me through an entire week of being sick. It's all about Max, a geeky kid who actually becomes the beloved Monster. Along with his sister and older brother, he keeps it a secret from his dopey parents and tries to outrun the creepy museum curator who is deadset on exploiting Max for money. 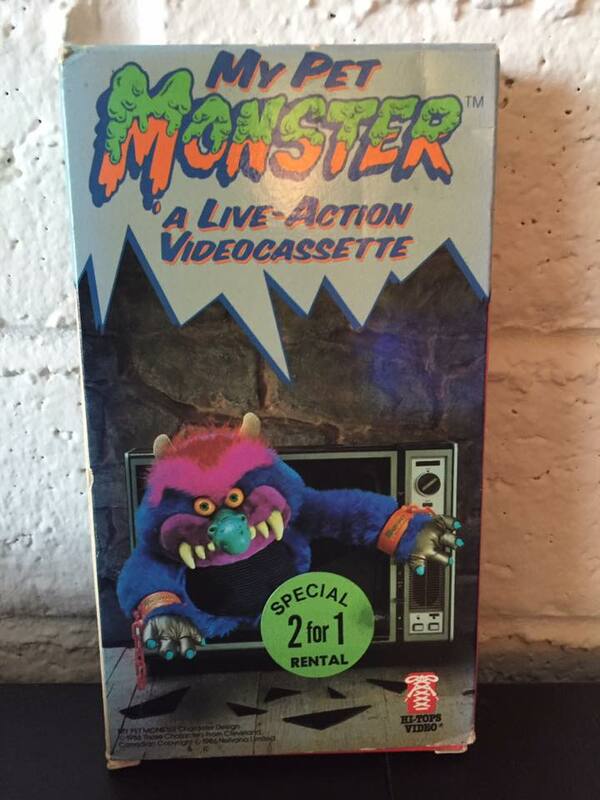 This tape rules and quite frankly should be owned by every VHS collector. It's a giant time capsule. Even though I didn't see it as a kid, it still invokes some sort of nostalgia for me just because I had seen so many other movies like this. If that makes sense. I really owe Brian of Trash Culture a huge thanks for sending me this. This was a huge want of mine and now thanks to him, I own it. And you'll now have to pry it from my cold dead hands. Thats how much I love this tape. So much that I'm leaving Brian my entire Real Ghostbusters collection in my will. Yes, even Fearsome Flush. Word. A very happy VCR Day to you. 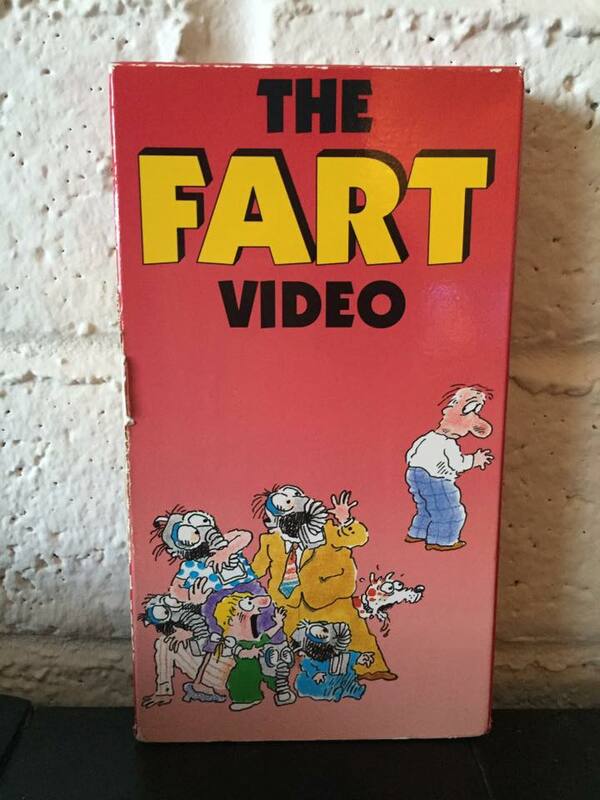 I hope you're having a good VHS Marathon! What, no Coliseum Video tapes? Happy VCR day to you too! I'm so bummed I had no clue it was VCR day! I love picking up VHS tapes still I would have joined in. Did you know that you can create short urls with LinkShrink and make money from every visit to your short links.